Who likes to take garbage and make it into something awesome? That would be this girl. It falls in line with my need to keep things organized on a budget. This project was pretty much done for nothing. The supplies I used were already in my possession, but if you want to be technical about things the paint I used I had bought a few weeks ago on clearance. The colors that I purchased were $0.99 each. Score! As you can see I used an old label box that I brought home from work. We are all about sustainability at my job. I was about to toss these into the recycling when I realized that I could probably make the lid and base into something cool. I was right! The box was perfect because of the sturdy build to it and it wasn't too big. I spray painted the outside with some white primer that I had. 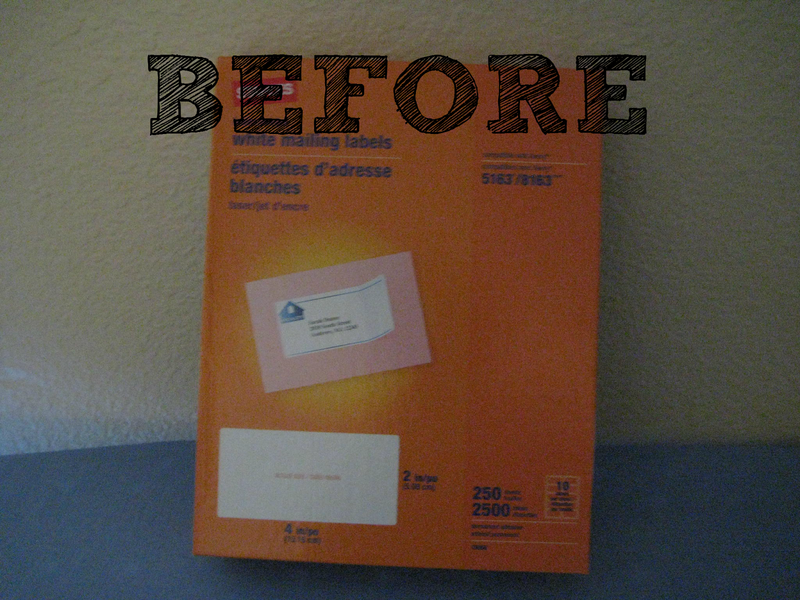 I knew that the orange color and lettering would stand out and didn't want to use all of my paint just covering up. After spray painting I used my Martha Stewart High Gloss paint in Pea Shoot to paint the outside. I used a few coats to make sure that I had the pop of color that I wanted and to make sure that nothing from the original box color was visible. 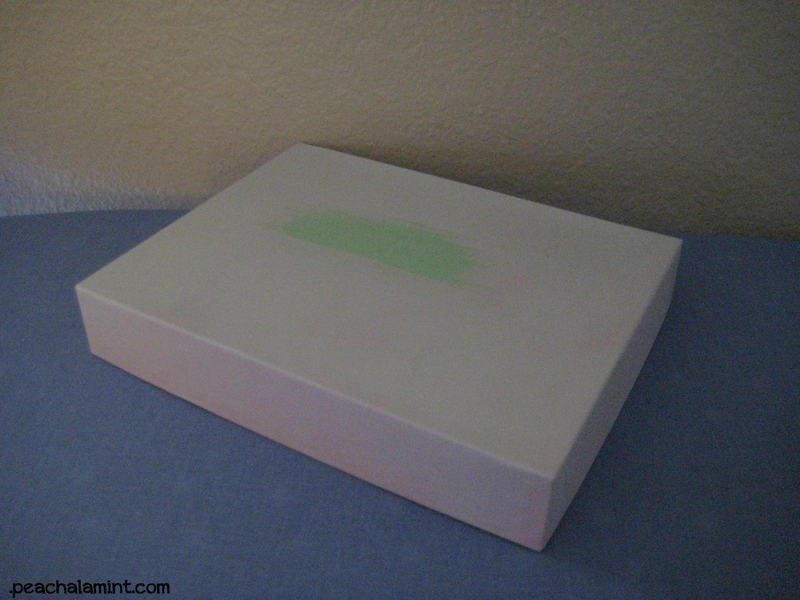 Next I used my Martha Stewart Pearl paint in Gazing Ball to paint the inside of the box. 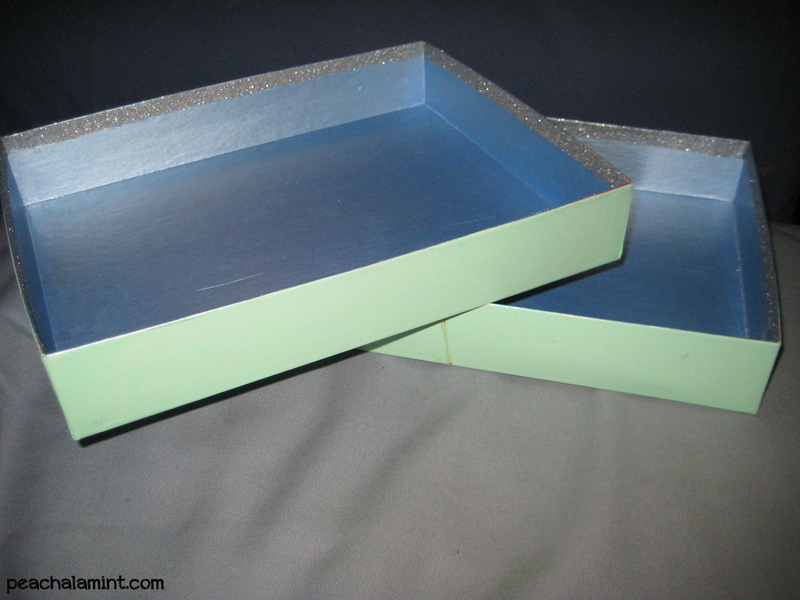 I didn't want to make these trays too girly so I thought the blue hue would be best. They are in a common area of the house so I wanted to make sure they were more neutral colors to please both myself and W.
I didn't use a primer on the inside of the boxes which I should have so to fix the orange that just wouldn't go away I improvised and broke out the glitter and modge podge. Glitter fixes all. Silver was my glitter of choice. I let the paint dry completely (over night) and then applied a layer of modge podge and glitter. I finished the trays off by applying one more layer of modge podge on top of the glitter to ensure that it wouldn't get everywhere. 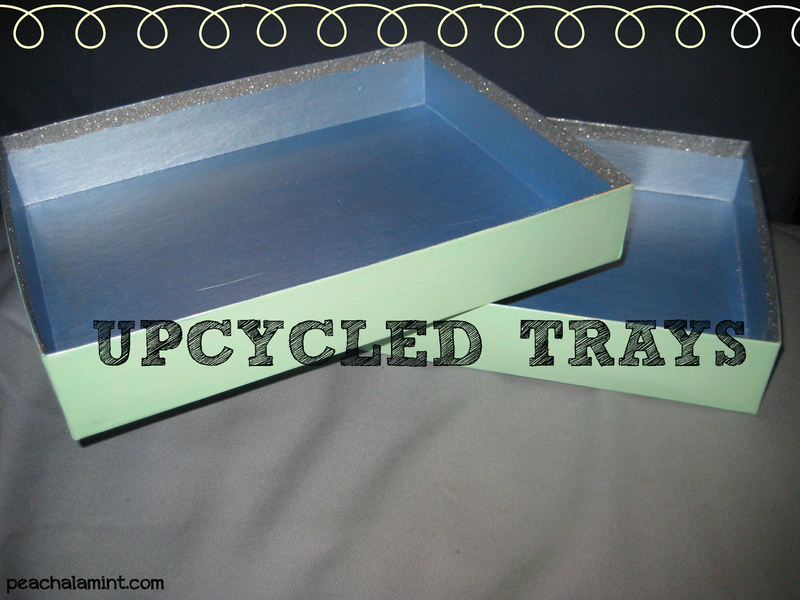 The end result was perfect and these trays look great on our coffee table! They keep our coffee table organized, we each have a tray so no more ruffling around in the morning to find my keys that I tossed on the table the night before. What found objects have you created into fun household decor?